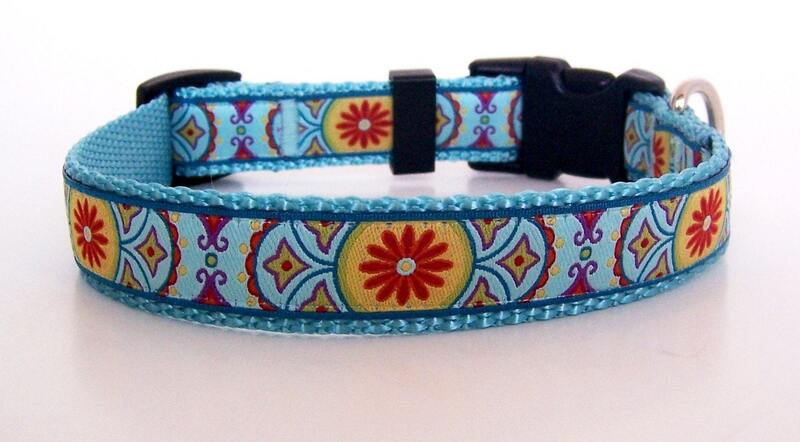 Adorable Red Flower Dog Collar! 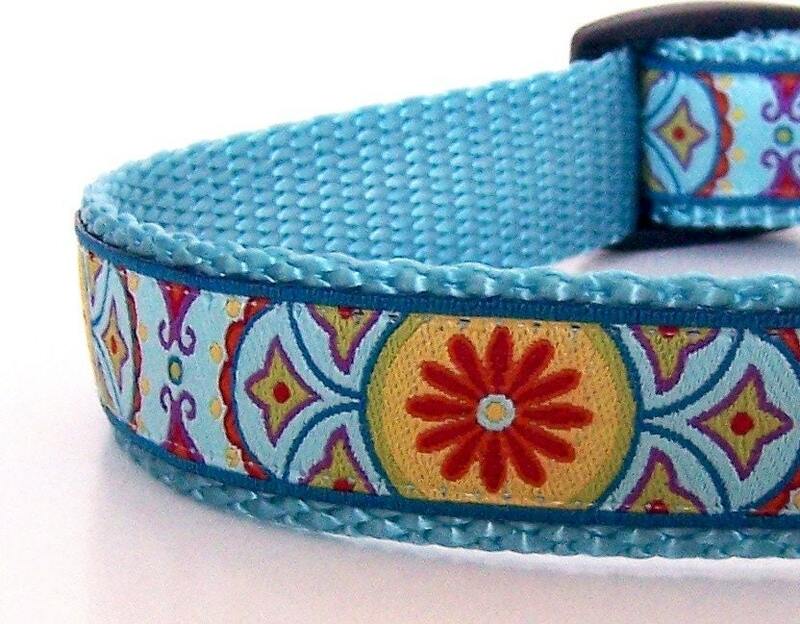 Such a lovely dog collar with a red flower and a gorgeous design. I've always loved this German ribbon and its detail. 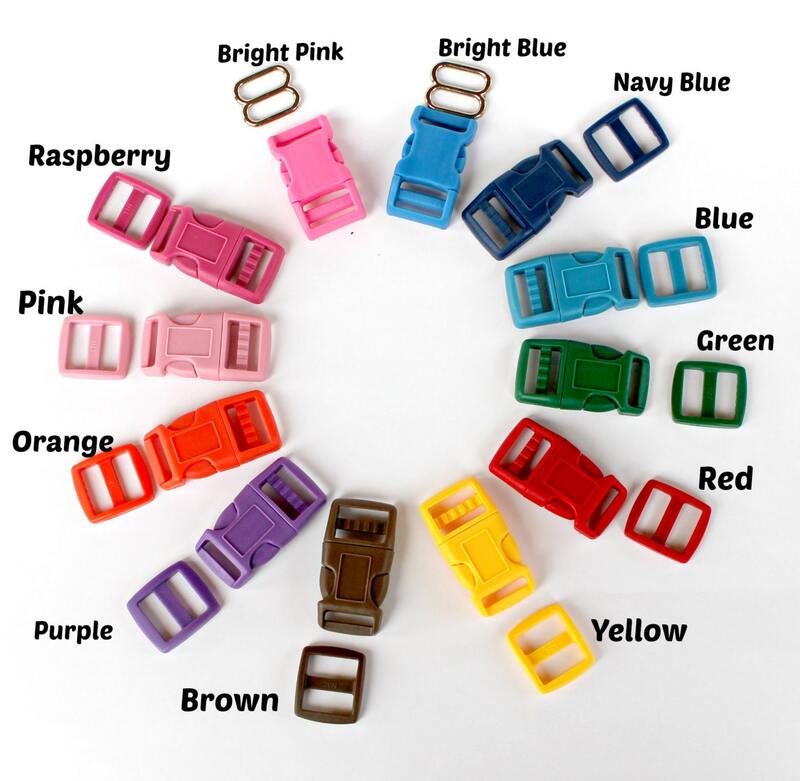 I've placed it on aqua heavyweight webbing but please feel free to ask for any other color you prefer! **Production Time: 5 to 9 days. Most accurate production times can be found on my front page. Measure carefully and allow about two fingers of extra room. These measurements are around the neck. 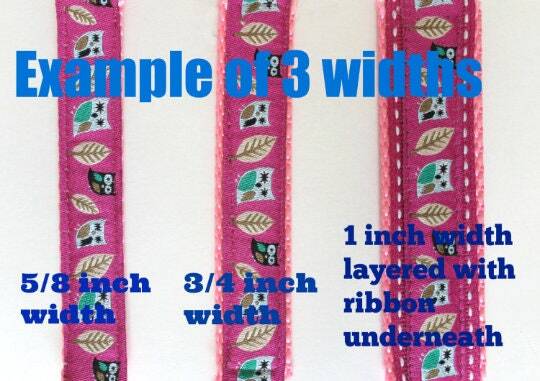 This item will be lovingly handmade when you place your order. 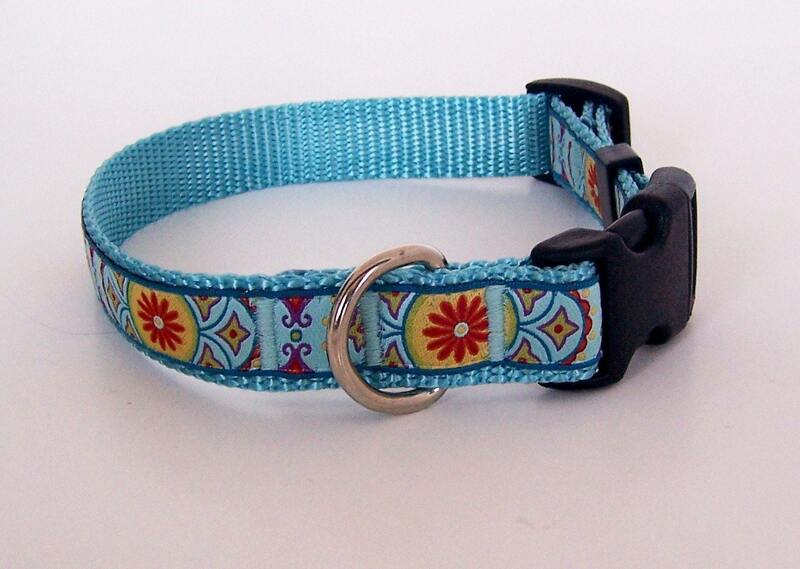 I know you want your pup's collar quickly but please allow up to 5 to 8 days before shipping. In many cases I can ship quickly. International orders please read my policies for shipping. High quality ribbon and tough nylon fabric perfect for my very active dog. The collar also arrived fast and just as advertised. I couldn't be happier. Plus she looks super cute in it! Absolutely beautiful and so well made! Great collar - excellent craftsmanship. Such a fun ribbon too - very happy with purchase. Thanks! She looks very stylish in her new collar. Our english cocker spaniel Morris is so happy with his new collar!! It is so beautiful!!! Thanks Terri!! A big hug from me and Morris! Greetings from The Netherlands!